How do adults understand youth? How do their conceptions inform interventions into young lives or involve young people’s experiences? This volume tackles these questions by exploring adults’ ideas about youth. 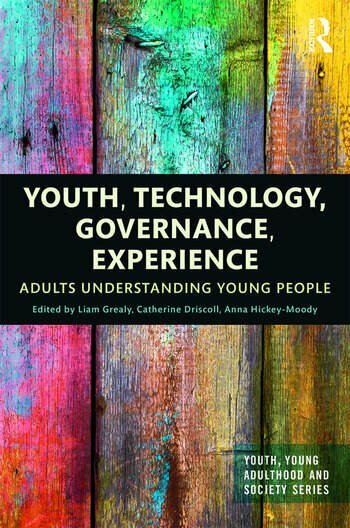 Specifically, Youth, Technology, Governance, Experience examines the four titular concepts and their implications for a range of relationships between youth and adults. Utilising interdisciplinary methods, the contributing authors deliver a broad range of analyses of young people differentiated by gender, class, race, and geography across an array of contexts, including within the home, in media representations, through government bureaucracies, and in everyday life. Youth, Technology, Governance, Experience also interrogates the meaning of technology and governance for youth studies, considering a range of ways they interact, including through social media, technologies of regulation, and educational tools. It will appeal to students and academic researchers interested in fields such as youth studies, cultural studies, sociology, and education.